Wonderfully spacious perfectly placed and incredibly enticing, Curraghchase Caravan & Campsite offers a unique opportunity to explore nature and enjoy true relaxation. Our Guests are free to explore the grounds of the 774 acre De Vere Estate including its beautiful Arboretum and Lake, the ruins of the family mansion and the myriad of walks and trails through the grounds. 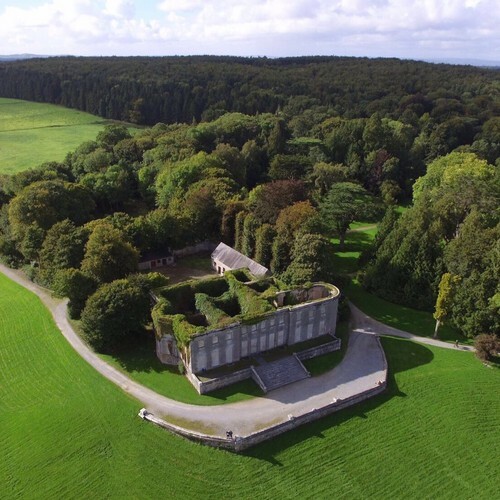 Curraghchase offers the perfect family or couples breakaway, and is also the ideal adventure for man’s best friend! Just minutes from Adare, Ireland’s prettiest village, and Foynes, the home of the Irish coffee. 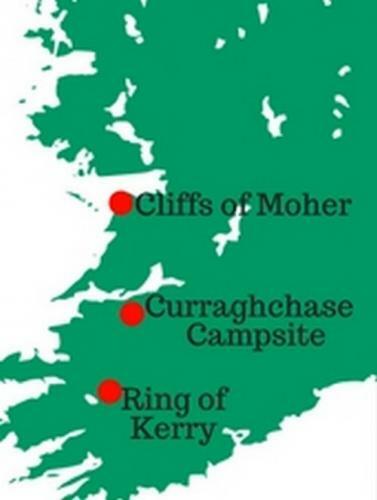 We are perfectly sited for touring the West of Ireland or exploring the Wild Atlantic Way. Limerick City is just a 15 minute drive and is bustling with lots to see and do. Onsite facilities include hardstandings with electric hook-up, a large camping area, campers kitchen, onsite café, toilet block with free hot showers, laundry room, motorhome service area, kid’s playground and 24 hour security. Adventure Centre and much more! Curraghchase Caravan & Campsite is accessed through a barrier system. Please book in advance to receive your access code. We look forward to welcoming you to Curraghchase. From Dublin/Galway/Tipperary/Cork: Take Junction 2 off the M7 Motorway for Foynes/Listowel on the N69. Curraghchase is located in Kilcornan village. From Tralee: Take the N69 to Kilcornan Village. From Killarney: On the N21 drive from Rathkeale to Askeaton and go east on the N69 for Kilcornan Village.